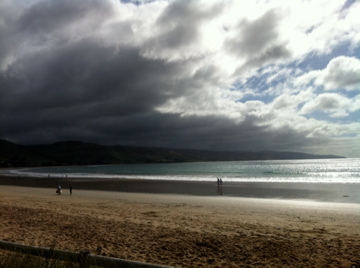 Food pics from Apollo Bay | 15,000kms of Food! 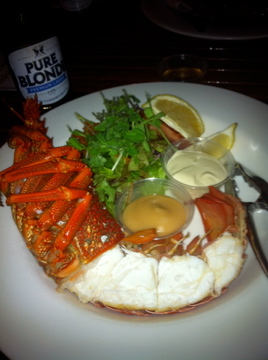 Obviously, I was in a seafood state of mind… so there’s boiled lobster with chips and sauces from the Apollo Bay Hotel, which was delicious and reasonably priced. On a nice night out in the deck, with a nice cold beer and cold lobster are winners. 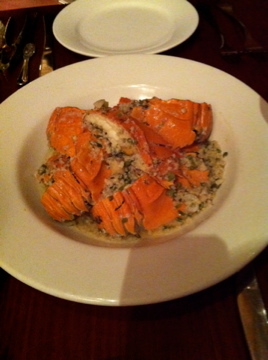 Another establishment we went to was La Bimba Restaurant. The first night we went there it was packed and we had to make a reservation for the following night. Based on the popularity of the place, I was expecting fantastic food. 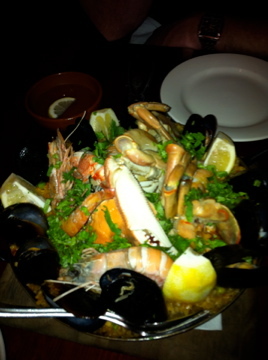 We had a seafood paella which contained muscles, scampi, fish and crab, and a Moreton bay bug risotto. Both were really tasty, but a tad overcooked. Lastly, we have the interesting junk food…. 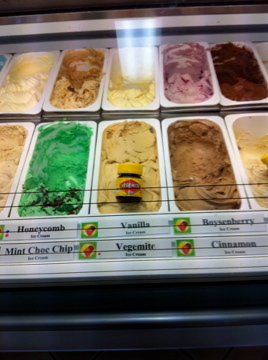 I did try the Vegemite flavoured ice cream, and my recommendation is, don’t do it! One taste is fine, but a whole scoop is overwhelming. Also, the aftertaste was horrendous. 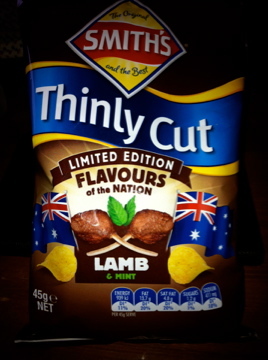 The lamb and mint flavoured chips were awesome! They need to make this a permanent fixture.